Exclusive Look of Jim Carrey from "Kidding"
You are here: Home > Recent > News > Exclusive Look of Jim Carrey from "Kidding"
People.com has published an exclusive photo of Jim Carrey from his upcoming Showtime-series "Kidding". 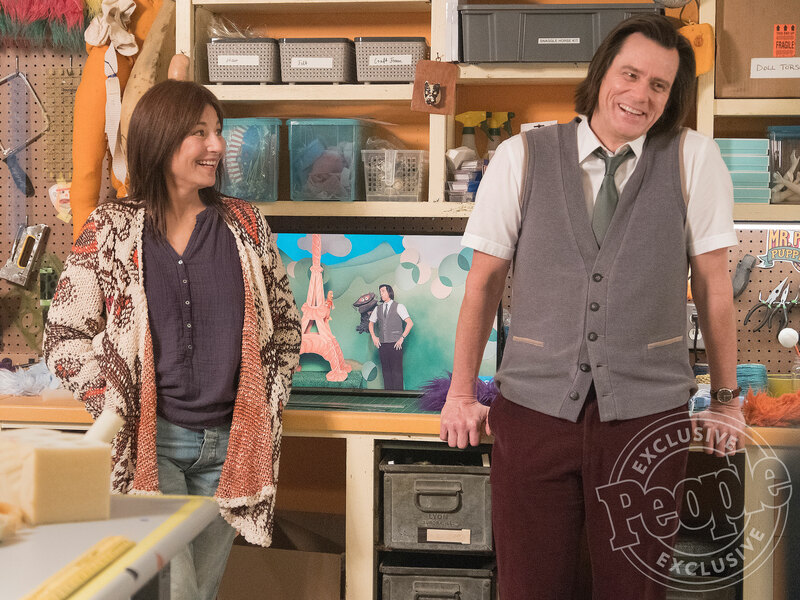 The official production still gives us the first look of Jim Carrey's character with the long hair and it is also featuring his co-star Catherine Keener, who plays Deirdre. When Mr. Pickles goes through a personal crisis, he�s starts slowly breaking down, and his producers start worrying that his precarious mental state will destroy Mr. Pickles� image. "Kidding" will come out this fall on Showtime. -- Source: People.com. Click to comment this article.